La balsa de la Medusa. Alicante: Caja de Ahorros Provincial de Alicante, 1987. Cartografía ardiente: Madrid: Verbum, 1995. Las entretelas sedosas: Montilla: Aula Poética Casa del Inca, 2002. Ellas tienen la palabra. Dos décadas de poesía española. (with Jesús Munárriz). Introduction by Noni Benegas. Madrid: Hiperión, 1997. 4th ed., 2008. Bio: Translator. Noël Valis (born 24 December 1945) is a writer, scholar and translator. She is a Professor of Spanish at Yale University. She received her B.A. from Douglass College and earned a Ph.D. in Spanish and French at Bryn Mawr College. An Hon. Woodrow Wilson Fellow, she is a recipient of fellowships from the John Simon Guggenheim Foundation and the National Endowment for the Humanities. 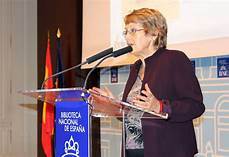 Valis is a Full Member of the Academia Norteamericana de la Lengua Española (an affiliate of the Real Academia Española) and a Corresponding Member of the Real Academia Española. In 2017 she won the Victoria Urbano Academic Achievement Prize (Premio Victoria Urbano de Reconocimiento Académico), given by the International Association of Hispanic Women’s Literature and Culture (Asociación Internacional de Literatura y Cultura Femenina Hispánica), for her work in Hispanic women’s and gender studies. Her translation of Noni Benegas’s poetry, Burning Cartography, was awarded the New England Council of Latin American Studies’ Best Book Translation Prize. a book of poems written with the vocation of songs and minstrelsy, articulated in four chapters with revealing titles, Substructure, Superstructure, Demolition and Flowers. Full of irony, the poetic voice, which is an ethical, indignant voice, wants the written script to transcend in spoken writing (The grapes / don’t die / in the vineyard / with the harvest / in the summer. // They transcend / and translive / victorious / in the wine, // like the poem in the song … ). This book talks to the reader in short, concise verses, with lexicon of the perspective of one who stands on the brink of historical abyss (The West bleeds to death /…). To paraphrase Ezra Pound, this book has style, that is to say, limpidity, as opposed to rethoric; where the poet in dealing with his own time, sees that language does not petrify in his hands; he has prepared for new advances along the lines of true metaphor, that is interpretative metaphor, or image, as diametrically opposed to untrue or ornamental metaphor. These poems daringly address Brexit and Trump, the policy of closing borders and xenophobia, and a nation that appears personified in female allegories – I am the matriot / the highest patriot / I serve my shares / I sooth my country /…, and cyborgs who leave a planet in ruins ( his brain compressed in a zip folder / stored in a private cloud // No memories / just data / …), our own planet from which figs also flee (with millions of figs like me, like you / away from a supernova / of stupid national greed / … ). In one poem, Time to leave Brexit, we can also read the condensed intention of the book: I’ve never been an island, / Nor a chunk of it. / I could never be one / Cause I’m a social being / made of flesh / And emotions. Images of flesh and bone, and emotions that readers will share. Editor’s Note: see also Artvilla.com Goddess Summons the Nation. By Tony Martin Woods. un poemario escrito con vocación de cancionero y de mester de juglaría, articulado en cuatro capítulos con títulos reveladores, Substructure, Superstructure, Demolition y Flowers. Pleno de ironía, la voz poética, que es una voz ética, indignada, y que pretende que la escritura escrita trascienda en la escritura hablada (The grapes/don´t die/in the vineyard/with the harvest/in the summer.// They transcend/and translive/victorious/in the wine,// like the poem in the song/…). Se interpela al lector en versos breves, concisos, con léxico de nuestro tiempo y una temática actual de quien se sitúa al borde del abismo histórico (The West bleeds to death/…). Parafraseando a Ezra Pound, este es un libro con “style, that is to say, limpidity, as opposed to rethoric”, donde el poeta “in dealing with his own time, sees to it that language does not petrify in his hands; he has prepared for new advances along the lines of true metaphor that is interpretative metaphor, or image, as diametrically opposed to untrue or ornamental metaphor”. 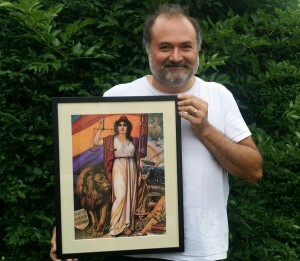 Los poemas se atreven con el Brexit, con Trump, con la política de cierre de fronteras y xenofobia, con una nación que aparece personificada en alegorías femeninas – I am the matriot/ the highest patriot/ I serve my shares/ I sooth my country/, y con cíborgs que abandonan un planeta en ruinas (his brain compressed in a zip folder/stored in a private cloud// No memories/just data/…), planeta del que también huyen los higos ( with millions of figs like me, like you/ away from a supernova/of stupid national greed/…). En uno de sus poemas, Time to leave Brexit, también podemos leer la intención condensada del libro: I´ve never been an island,/Nor a chunk of it./ I could never be one/Cause I´m a social being/made of flesh/And emotions… Imágenes de carne y hueso, y emociones que compartirán lectores y lectoras. 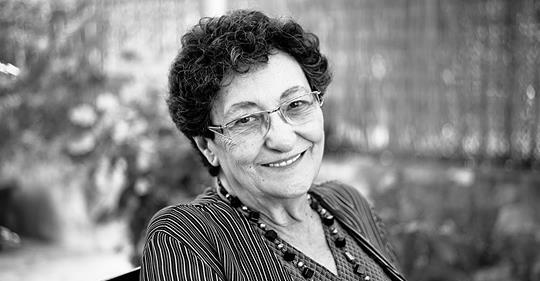 Amparo Arrospide (Argentina) is a Spanish poet and translator. She has published seven poetry collections, Mosaicos bajo la hiedra, Alucinación en dos actos algunos poemas, Pañuelos de usar y tirar, Presencia en el Misterio, En el Oido del Viento, Hormigas en Diáspora and Jaccuzzi, as well as poems, short stories and articles on literary and film criticism in anthologies and in both national and foreign magazines. Lie on the stones waiting for you, some gifts for you? Who’s shedding blood and life away? Scenting the playful writing of my pen? Oh so sorry, I dunno and can’t even hope so. 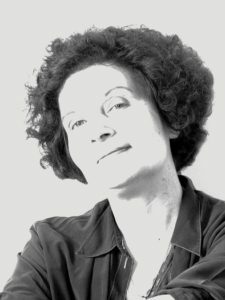 Born in Italy some decades ago, Gabriella Garofalo fell in love with the English language at six, started writing poems (in Italian) at six and is the author of “Lo sguardo di Orfeo”; “L’inverno di vetro”; “Di altre stelle polari”; “Blue branches”, “ A Blue Soul”. but is it a stand no better than gimmick-makers make? that covers the deserted, haunted mansion. 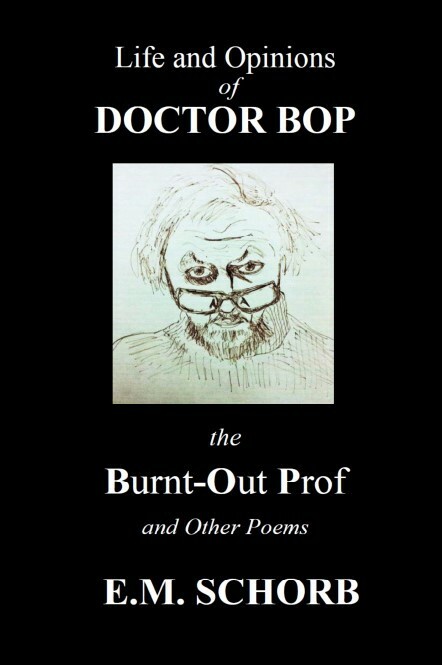 Many poets often turn to playwrites, more so than the other way about, and undoubtedly, imo, EM Schorb’s early background in theater has led to his latest theme in poetics “Life and Opinions of Doctor BOP ( the Burnt – Out – Prof and other Poems)”. In fact, it seems to me, the entire text hovers between sketches, vignettes, and biographic autobiographical narration in the first person. As a European, but one who has followed, as well, with keen interest North Amercan academia in poetics. As much as philosophy, related to cosomology and evolutionary concerns in the new sciences. It comes as an edifying experience to be introduced to the home grown frantics of North American Campus life, or insomuch, the affect it has had on our character in question, Doctor BOP. Actually, in the reading of the first part of this three part volume, a practically epic poem consisting of some seventeen pages, I was strangely reminded of the later short story writings of JD Salinger’s depiction of University life as an undergraduate English lecturer. He was in fact, as he describes himself, a rather reclusive English lecturer. And one of his passages springs vividly to mind, as he mentions in a more or less autobiographical narration, how as a now muchly graying and aging professor, he hastily makes himself scarce, the moment a group or anything like of under 40’s looms on his horizon, (on the Campus). A far cry from the days of Catcher in the Rye, perhaps we might encounter our Doctor BOP, as Schorb portrays him, as having travelled a somewhat similar way, perhaps a universal way of all burnt-out-profs. At least for the birth of our Doctor BOP, as he emerges from the Yiddish community, where due to a series of social phenomena peculiar to North American modern history, he finds himself born into the world of academia at midriff with his family’s origin, social background and status. Here Schorb brings his own background knowledge of Yiddish custom and vocabulary into full play in all its richness, in the first part of the central theme to the work. It is but one of the literary treats he devises. The whole text is replete with a classical apotheosis, religious epitomes, literary analogues and philosophical allusions, all of which abound in the head of Doctor BOP, as he makes his final but defiant bow before the world. The poems obviously are tragico/comico, there is satire, irony, bitterness, humour and kindness blended together with eruditeness. The text is littered with phrases in Latin, Greek, Yiddish, Spanish, we even have augenblick (in the blink of an eye, or in the moment) for Hamlet in German, and of course, Orator fit, poeta nascitur, poeta nascitur, non fit. (A speaker is made, a poet is born, not made). According to Doctor BOP, who quotes extensively from bibliographies of writers past and present and salutes us in the final part of the first part with vaya con Dios, my Darlings. Doctor BOP makes a delightful read, which the two latter parts of this small volume only serve to embed, and is well worth the buy, if only to raise the dust from our minds to reminisce over our studious years and the host of miscellenious trivia that is the heritage of our race in all its travail – a poor player who struts and frets his hour upon the stage and then is heard no more – to coin yet another allusion. E. M. Schorb attended New York University, where he fell in with a group of actors and became a professional actor. During this time, he attended several top-ranking drama schools, which led to industrial films and eventually into sales and business. He has remained in business on and off ever since, but started writing poetry when he was a teenager and has never stopped. His collection, Time and Fevers, was a 2007 recipient of an Eric Hoffer Award for Excellence in Independent Publishing and also won the “Writer’s Digest” Award for Self-Published Books in Poetry. An earlier collection, Murderer’s Day, was awarded the Verna Emery Poetry Prize and published by Purdue University Press. Other collections include Reflections in a Doubtful I, The Ideologues, The Journey, Manhattan Spleen: Prose Poems, 50 Poems, and The Poor Boy and Other Poems. Schorb’s work has appeared widely in such journals as The Yale Review, The Southern Review, The Virginia Quarterly Review, The Chicago Review, The Sewanee Review, The American Scholar, and The Hudson Review. 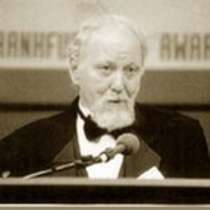 At the Frankfurt Book Fair in 2000, his novel, Paradise Square, was the winner of the Grand Prize for fiction from the International eBook Award Foundation, and later, A Portable Chaos won the Eric Hoffer Award for Fiction in 2004. Schorb has received fellowships from the Provincetown Fine Arts Work Center and the North Carolina Arts Council; grants from the Ludwig Vogelstein Foundation, the Carnegie Fund, Robert Rauschenberg & Change, Inc. (for drawings), and The Dramatists Guild, among others. He is a member of the Academy of American Poets, and the Poetry Society of America. When Marjorie Perloff, long-term critical advocate for L=A=N=G=U=A=G=E poetry (indeed for experimental poetries generally), published The Poetics of Indeterminacy: Rimbaud to Cage back in 1981, she wanted to trace a particular kind of poetic ‘indeterminacy’ back to its 19thcentury roots in Rimbaud. Early on she quoted Barthes’ perspective on Rimbaud’s poetics: ‘Rimbaud … destroyed relationships in language and reduced discourse to words as static things … In it, Nature becomes a fragmented space, made of objects solitary and terrible, because the links between them are only potential.’ Perloff then traced the 20th century developments in this emerging poetics via chapters on Gertrude Stein’s ‘word-systems’, Samuel Beckett’s ‘poetics of absence’ and John Ashberry’s ‘open field of narrative possibilities’ (elsewhere termed a ‘field poetics’). Her book concluded with studies of the ‘marginless’ poetics of David Antin and the chance-operations poetics of John Cage , who wrote of his later works: ‘They begin anywhere, last any length of time … They are therefore not preconceived objects … They are occasions for experience.’ Perloff’s book led to further studies in which she announced L=A=N=G=U=A=G=E poetry as a further chapter in this century old poetics of ‘indeterminacy’. Robin Ouzman Hislop’s poetry is certainly in dialogue with some of the key architects of this well documented ‘poetics of indeterminacy’ – both the Modernist strands represented by the likes of Beckett and Stein, and the postmodernist strands represented, initially, by Ashberry and Antin, and later on by poets like Charles Bernstein, Bruce Andrews, Lyn Hejinian and Ron Silliman. 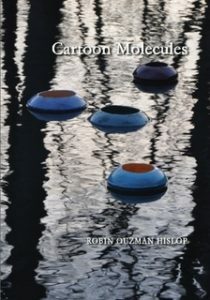 Next Arrivals, however, like Hislop’s second collection Cartoon Molecules, also explores and responds to themes only rarely addressed by 20th century experimental poets. In both Cartoon Molecules and Next Arrivals we start to catch glimpses of a hulking phantasmagoric something (a transhumant creature perhaps?) as it ‘slouches’, ‘transforms’, ‘self-engineers’, ‘machine learns’ it-self into being under cover of the postmodern twilight. Culturally speaking, something new is being born/engineered/programmed in these early decades of the new millennium and all three of Hislop’s collections, in my opinion, work hard to capture the cultural zeitgeist surrounding aspects of this transhuman nativity drama (one interpretation of the collection’s title, i.e. literally, the Next Arrivals). Hislop senses that new poetic forms – what we might label a new (perhaps quantum influenced?) ‘poetics of indeterminacy’ – may be called for here and, like US poet Amy Catanzano, he is courageous enough to initiate new experiments with poetic form in order to address the urgencies of our time. Similar notes of caution and critique accompany references to genetic programming, Artificial Intelligence (and the much publicised ‘approaching Singularity’), Virtual Reality obsessions (Hislop’s meditations on Bostrom’s ‘Simulation Argument’ are particularly interesting), quantum computers, and, so on, throughout the collection. He asks us to be wary of the way the New Sciences are merging with what he refers to as ‘datism’, and then warns us that ‘algorithms can control empire/ or an upper class ruling the planet’ (p.59). Later in the same poem (p.61) we read: ‘free market big brother/ watches every breath you take’. The New Sciences, of course, were founded on a profoundly ontological understanding of ‘indeterminism’, arising as they did, out of the discoveries of a range of early 20th century physicists – especially Heisenberg (with his so-called ‘uncertainty principle’). Our need to explore these kinds of ontological uncertainty suggest a second major way to understand contemporary experimental poetries as ‘indeterminate’ – a way that brings Hislop close to the concerns of a growing band of writers creating what some are calling ‘Quantum Literatures’. What kinds of art, philosophy, poetry and poetics should we develop to address fundamental ‘indeterminacies’ of matter and consciousness (rather of consciousness observing matter)? Hislop does not, of course, advance explicit theories on such topics in this collection, but a poetic response to the challenges posed hovers above a number of the best poems in the collection. 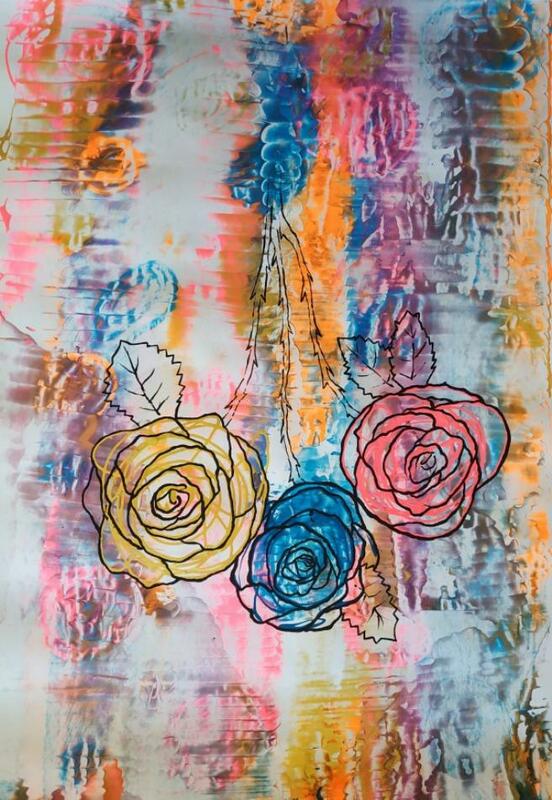 Such concerns also – whether consciously or unconsciously – seem to affect the formal flow of the collection. Next Arrival can, in theory, be entered via a range of gates, since the 2nd to last poem in the collection mirrors the collection of lines used to construct the table of contents. Though there are no titles to each discernible segment of poetry – no capitals and headings to interrupt flow – we slowly become aware (via a kind of gentle memory murmur) that the first line of each new segment also appears in the table of contents (and will appear again at the end of the collection). In a sense then, our reading choices – i.e. whether we browse/surf the collection or proceed more conventionally from start to finish – ‘collapse’ a range (or field) of reading (and meaning) possibilities into a particular reading outcome. The experience, however, is always ‘hologrammatical’, since poem fragments from across the collection are embedded in secondary poems – producing the uncanny sense that every poem is linked to every other poem. Another term for this – a term directly related to the New Sciences – is ‘entanglement’. Specifically, we are talking about a poetics of entanglement. It is perhaps an intuitive development –possibly arising naturally out of Hislop’s deeply held ecological vision (as outlined in a number of the collection’s other poems). We note, however, that a poetics of entanglement may run contrary to the kind of language atomizing poetics we sometimes find in the more extreme manifestations of contemporary anti-representational poetry. Hislop and his wife, Amparo Perez Arrospide, have edited the online literary and visual arts publication Poetry Life and Times (PLT) since 2006. In this age of global communication networks, it becomes increasingly difficult to separate a poet’s poetry from a poet’s elsewhere contributions to literary and online cultures. Everything swims together in a kind of ‘electronic soup’ of interactions and information nodes on the WWW (representing perhaps another kind of ‘field poetics’ or ‘poetics of indeterminacy’). For better or worse, the specialized poets of the 20th century have slowly been replaced by a new breed of transmedia savvy ‘uber-artists’. Some poets are well equipped for the new role. Hislop, certainly, is comfortable communicating in a range of genres, across a variety of conventional and new media platforms (e.g. reviews/nonfiction essays, translations, video-poems, teaching, poetry performances, etc. ), as well as through publishing the works of other poets at the PLT site (and we note that all good literary journals seek to construct ‘an open field of narrative possibilities’). There is no doubt that PLT, here including work published via its sub-sites Artvilla and Motherbird , expresses a truly internationalist poetics. Its contributors herald from all over the planet and the various sites feature a range of poetic styles—traditional, modernist, postmodernist, experimentalist, etc . The editors are also committed to publishing the poetry of non-English language poets (translated, in many cases, by the editors themselves). We note here that ‘translation’ is itself a notoriously difficult and ‘indeterminate’ activity – there is always a trace of the translator in the finished product, however much he or she strives to eliminate any evidence of input. Overall, PLT augments ,and expands upon, the very same poetics of indeterminacy we encounter in Hislop’s own poetry. The creative Indeterminacies I have located in Hislop’s overall oeuvre are cause for celebration. Exploring such ‘creative indeterminacies’ will introduce us to zones of hybridity – the interstitial plazas and market-places that exist between the monolithic, but ultimately delusionary and oppressive, certainties fed us daily by governments, media moguls, religious leaders and ideologues. There is something liberating and eminently human about embracing the expanded notions of self we encounter in Hislop’s poetry. We note that John Cage also sought a more expansive definition of creative practice when he labeled his later experiments ‘occasions for experience’. We may apply the same terminology to the poems in Next Arrivals – they are, each and every one of them, ‘occasions for experience’. Hislop’s ‘occasions for experience’, however, highlight the ambivalences and anxieties, as well as the joys and occasional epiphanies, experienced by ordinary people attempting to make sense of our globalised, corporatized, information-saturated post-postmodern world. Ian Irvine (Hobson) is an Australian based, British born, poet/lyricist, fiction writer, journal editor, and writing and creative arts academic. His work has been published extensively, including in a number of national anthologies, e.g. 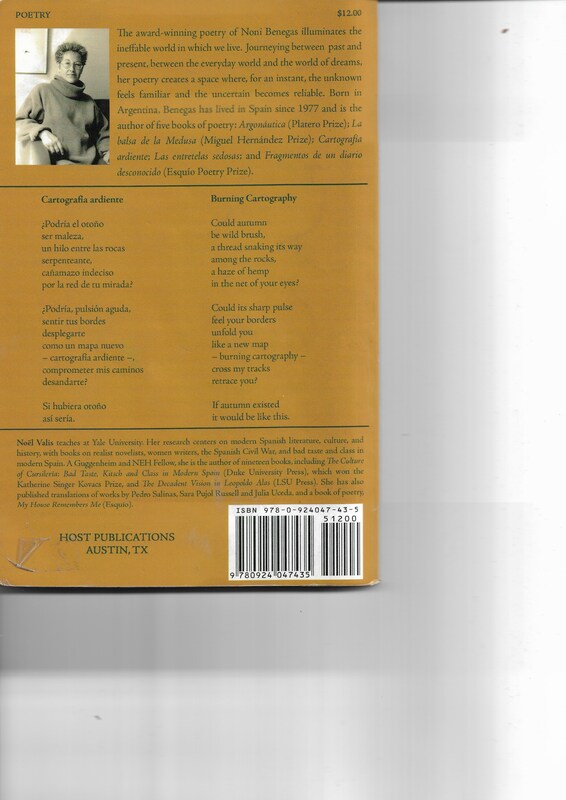 Best Australian Poetry and Agenda’s special Contemporary Australian Poets edition. 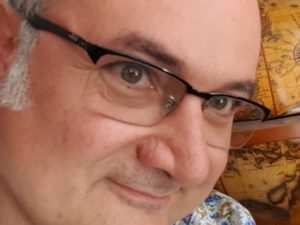 He has published four books and has co-edited over 20 publications including 7 editions of the groundbreaking international literary ezine The Animist (1998-2001), as well as Scintillae 2012 (a print anthology containing work by over 60 Australian poets and writers). Ian has taught in the creative and professional writing programme at Bendigo Kangan Institute since 1999. He also lectures casually in a similar program at Victoria University, Melbourne. (They make great TV in their chase and struggle). A chain of convivial parasites. Tony Martin-Woods started to write poetry for the public in 2012, at the age of 43, driven by his political indignation. That same year he also set in motion Poesía Indignada, an online publication of political poetry. 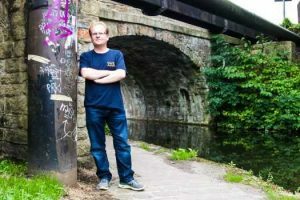 He runs the poetry evening Transforming with Poetry at Inkwell, in Leeds, and collaborates with 100 Thousands Poets for Change. Tony is also known in the UK for his work as an academic and educator under his real-life name, Antonio Martínez Arboleda. His project of digitisation of poetry, Ártemis, compiles more than 100 high quality videos of Spanish poets and other Open Educational Resources. http://www.artemispoesia.com/. 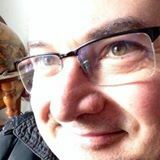 He is the delegate in the UK of Crátera Revista de Críticay Poesía Contemporánea , where he also publishes his work as translator from English into Spanish. He published his first volume of poetry in Spanish, Los viajes de Diosa (The Travels of Goddess), in 2015, as a response to the Great Recession, particularly in Spain. 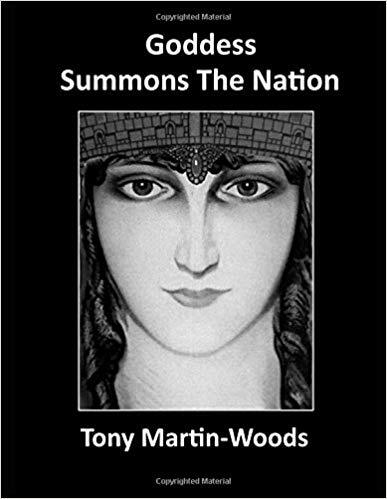 His second book, Goddess Summons The Nation, is a critique of the ideas of nation and capitalism, mainly in the British Brexit context. It incorporates voices of culprits, victims and heroes with mordacity and rhythm. It consists of 21 poems, 18 of which are originally written in English. It is available in print and kindle in Amazon and other platforms.